Saute the onion in a small amount of oil in a skillet until soft but not browned, about 5 minutes. Add the remaining ingredients and cook, stirring occasionally, until it bubbles and starts to reduce and thicken, 5-8 minutes. Pour into a blender and puree. Drizzle the hot sauce over sausages. Sprinkle with additional curry powder, if desired. Serve immediately. We've bought bottles of Hela brand Curry Gewurz Hot Ketchup at our local German store and while tasty, it doesn't beat the freshly made sauce I've had at currywurst stalls. I thought I'd try my hand at making my own at home. Better than American ketchup, currywurst sauce isn't nearly as sweet and is much richer flavored. We like it hot, so I made sure I put in plenty of hot paprika. If you like yours more on the sweet and tangy side, cut back on the paprika and add a bit more vinegar. It is easy to tweak and make it your own! In fact, there is a lot of debate about the what makes the best currywurst sauce, I've seen recipes that call for everything from Coca-Cola to orange juice to soy sauce! I think this one comes the closest to the best food stall currywurst I've had so far. 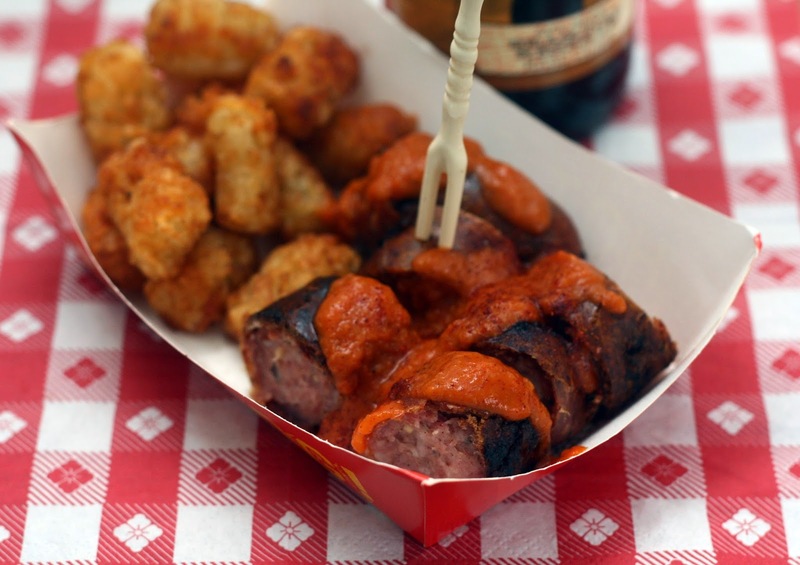 If you liked trying currywurst at Epcot in Disney World, try this! Interested in learning more about currywurst, the German street food most likely invented by a housewife? Check out this story.